For almost two decades of its history (1975-90), Lebanon was besieged by sectarian fighting, foreign invasions, and complicated proxy wars. 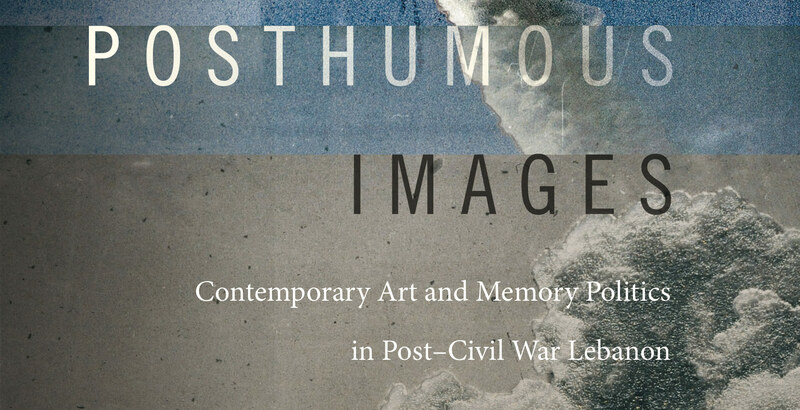 In Posthumous Images, Chad Elias analyzes a generation of contemporary artists who have sought, in different ways, to interrogate the contested memory of those years of civil strife and political upheaval. In their films, photography, architectural projects, and multimedia performances, these artists appropriate existing images to challenge divisive and violent political discourses. They also create new images that make visible individuals and communities that have been effectively silenced, rendered invisible, or denied political representation. As Elias demonstrates, these practices serve to productively unsettle the distinctions between past and present, the dead and the living, official history and popular memory. In Lebanon, the field of contemporary art is shown to be critical to remembering the past and reimagining the future in a nation haunted by a violent and unresolved war. In this conversation with Tarek El-Ariss, Elias will shed light on some of the major concepts and themes that run through Posthumous Images. Chad Elias is an Assistant Professor in the Art History Department at Dartmouth College. A graduate of the Whitney Independent Study Program and Northwestern University, his writings have appeared in such journals as Artforum, Film Quarterly, photographies, The Journal of Visual Culture, and Tate Papers. Elias is at work on a new book which explores the contentious role that contemporary art plays in relation to the futures projected by new infrastructures for cultural production and dissemination in the Arabian Gulf. Tarek El-Ariss is Associate Professor and Chair of Middle Eastern Studies at Dartmouth. He is author of Trials of Arab Modernity: Literary Affects and the New Political and Leaks, Hacks, and Scandals: Arab Culture in the Digital Age, and editor of the MLA anthology, The Arab Renaissance: A Bilingual Anthology of the Nahda.